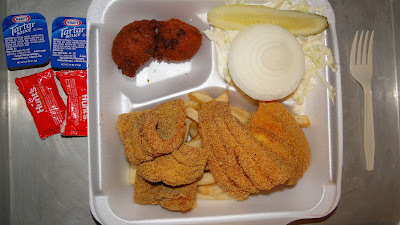 this evening we picked up a small catfish dinner to go from cajun catfish house. 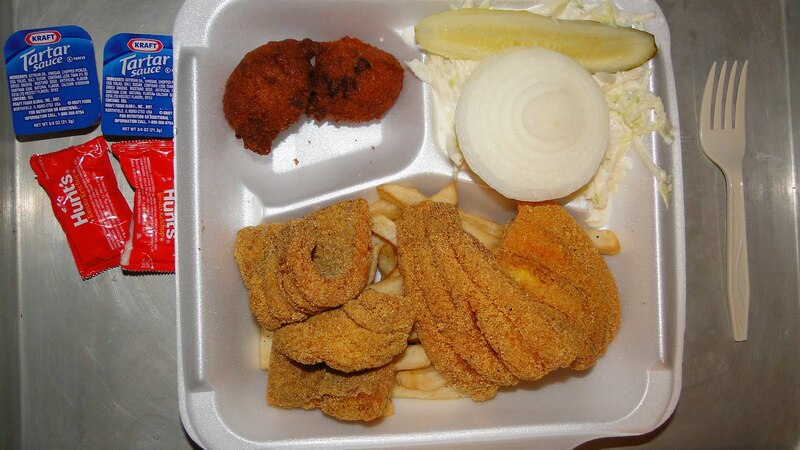 the fish and side dishes were as usual all a+. too bad the picture below doesnt really do justice as to how the meal really appeared -- or tasted. now we have to make like our friend the rat snake and find a place to lie still for awhile. amazingly, this time we had the presence of mind to ask for a menu card.